It is difficult to explain the growth and the importance of Glasgow. It has never been a capital or a residence of Kings, it is on a site that was not easily defensible, and although on a major river it didn't originally have a good harbour. 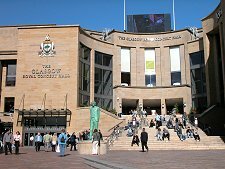 But despite this, Glasgow had already been through two booms and two busts by the time it established itself in the 1800s as the second city of the British Empire and the shipbuilding capital of the world: and as, by far, Scotland's largest city. 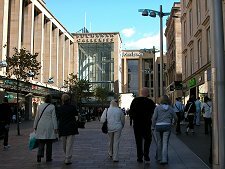 Glasgow's origins lie with a Christian missionary called Mungo, or Kentigern, who established a church here. 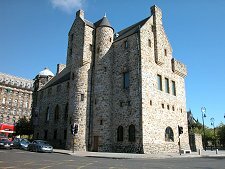 By AD600 St Mungo was the Archbishop of the Kingdom of Strathclyde, whose Kings resided at Dumbarton Castle. 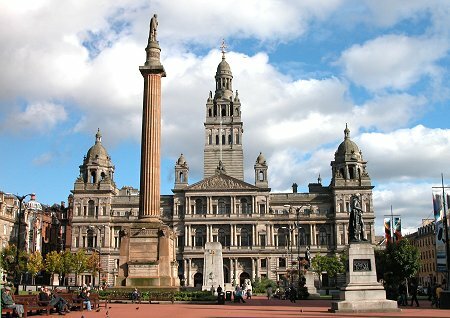 It is usually thought that the name Glasgow comes from St Mungo's description of the community that grew up here as Clas-gu or "dear family". 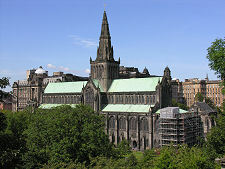 Glasgow spent the next thousand years as an important ecclesiastical centre. 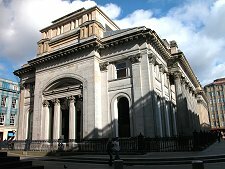 This engine for growth stopped dead in its tracks with the coming of the Reformation in 1560, which although leaving Glasgow Cathedral miraculously unscathed, swept away the power structure of the existing Church in Glasgow and in Scotland more widely. 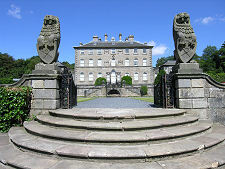 By the 1700s Glasgow was thriving, with new wealth based on the lucrative trade, largely in tobacco, with the American colonies. Glasgow's second major slump came with American independence in 1775, which killed much of its trade overnight. Undaunted, Glasgow entered the 1800s as home to 77,000 people, rebuilding its foreign trade and domestic industry, this time based on cotton. By the end of the 1800s it had developed into a city of 800,000 people. This spectacular growth was based on the development of heavy industries using raw materials from the central belt of Scotland and, in particular, on the remarkable development of the shipyards along the length of the River Clyde. Glasgow suffered during the depression of the 1930s, but this was only a precursor to the eventual demise of most of the Clydeside shipbuilding industry in the 1960s and 1970s. Today's Glasgow has in large measure recovered from this third disaster, and has been referred to as the world's first post-industrial city. It has done so painfully, slowly, and very unevenly, and still has some of the most deprived areas in Scotland. But no visitor to Glasgow can fail to feel the vitality and energy with which it entered the third millennium. Glasgow's most recent reinvention of itself was based on one of the most remarkable advertising campaigns ever, "Glasgow's Miles Better", aimed as much at those within the city as those beyond it. 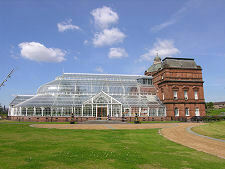 This was built on by a Garden Festival in 1988 and Glasgow's designation as the European City of culture in 1990. 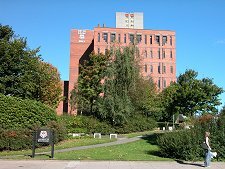 By the time the city became the UK City of Architecture and Design in 1999 the transformation was complete and residents and visitors alike no longer felt the designation odd or humourous, as many had in 1990. 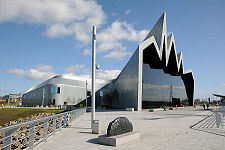 This list of must visit attractions is brought up to date by the superb Riverside Museum, The Tall Ship, and Glasgow Science Centre. 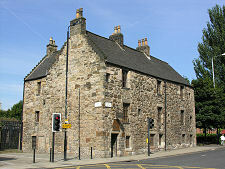 Other city attractions near Glasgow Cathedral include the St Mungo Museum, the Glasgow Necropolis and Provand's Lordship, arguably the oldest house in the city. 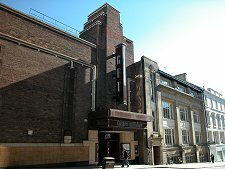 Glasgow is also famed for its diverse and exciting architecture. Little remains of the medieval city which, apart from the cathedral and Provand's Lordship, was swept away in major redevelopments in the 1800s. 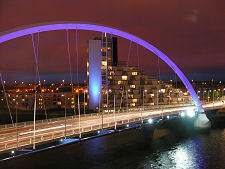 What emerged was largely built on a grid pattern, the centre of which is now wrapped around on two sides by the M8 motorway and on a third by the Clyde. What takes some getting used to is Glasgow's feel: in some lights the tall buildings and grid pattern make it seem more American than Scottish. 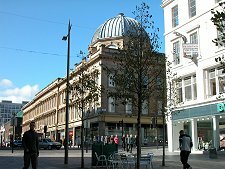 Amongst the many Glasgow hotels in the city centre are Blythswood Square and Malmaison Glasgow. 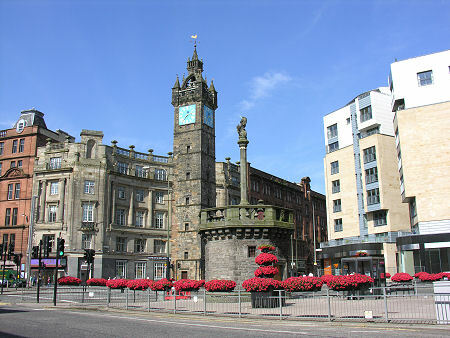 As the adopted home of much of Scotland's art, media and culture, Glasgow is home to three universities: the University of Glasgow, Glasgow Caledonian University, and the University of Strathclyde, as well as to the internationally famous Glasgow School of Art and Royal Scottish Academy of Music & Drama. Perhaps as a result the city is also famed for its pubs, restaurants and nightlife. 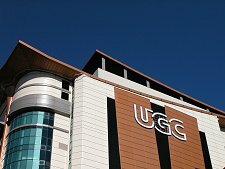 As a shopping centre, Glasgow offers the charm of its galleries and arcades combined with the biggest players in the retail world. Designer names rubbing shoulders with local producers offer goods to suit all tastes and budgets.